Everyone knows that online slots are one of the most popular types of casino game. But how do you know which slot casino is best for you? That’s where we come in.  Our expert team review UK licensed casinos, checking for the latest games and slot software, generous welcome bonus packages, mobile gaming, high RTP slots – plus excellent security and stellar reputation. Pick a highly rated casino from our shortlist- all you need to do is compare slot sites and sign up to your favourite to start playing the hottest new slots today. With new slots titles popping up every month, there’s a game for everyone to enjoy. We’ve scoured the internet for the best casinos offering the most exciting new titles. First off you’ll need to decide where to play! There are hundreds of online casinos to choose from, so we’ve handpicked only the best with the most impressive array of new slots titles. 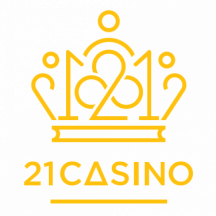 As with all our featured casinos, these sites are fully licenced and regulated by the UK Gambling Commission (UKGC) to ensure a safe and fair casino gaming experience. Picked out your favourite casino? Use our ‘claim bonus’ button to head straight to the registration page. Fill in the required details to create your online casino account. This is simple and should only take a minute or two. Now you’re ready to head to the cashier to make your first deposit. Select your preferred payment method, be it credit card, a prepaid voucher, or an e-wallet option like Neteller, and deposit the minimum amount. At most casinos, your welcome bonus will be credited automatically, though a select few will require you to opt-in manually. If you’re unsure about how to activate your welcome bonus, contact customer support before playing and they will help you out. We understand the temptation to start playing for real money straight away, but it’s always a good idea to make use of the demo mode on new slots first. This allows you to get to know a game before spending your own cash and saves you wagering real money on a title you might not enjoy. Found a favourite slot and had a few practise spins? It’s time to start playing slots for real money. Set your spin amount to a reasonable level for your budget – you don’t want to blow your entire balance on a single spin! 18+. New customers only. 1 Free Spin for every £1 of first deposit up to 50, available on selected games only. Not available using Neteller or Skrill. 3-day expiry on Free Spins. £10 min deposit +2.5% Fee (min 50p). Cash balance withdrawable anytime + £2.50 fee. Click here for full terms or see below.  What Makes a Great Online Slot Game? With so many casino slot games to choose from, it’s helpful to know the key features that separate good slots from great ones. Let us take you through everything you need to know before picking out a new favourite. Most online slots are created by a handful of well-known game developers. The best slots tend to come from companies like NetEnt, Microgaming, IGT, Thunderkick, Playtech and more. Rest assured – the casinos on this page offer slots using only the best software! Many online slots offer a range of features designed to make the game more interesting and to create additional ways to win. Keep an eye out for bonus rounds, multipliers, free spins, and even progressive jackpots. You’ll find all these available at our top casino picks. All slot games have different probabilities of paying out, expressed in percentage terms as an average return to player (RTP). This is a theoretical calculation of how much players can expect to win, based on an extended period of play. The higher the percentage, the more you could theoretically win. 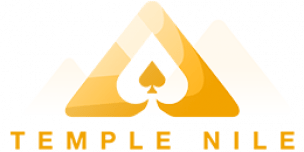 Why play new online slot games? Technology is developing so fast that developers are pushing the boundaries when it comes to new slots games. Something that seemed groundbreaking last year has been beaten in its innovation this year. This means there’s so much to experience, and gain, with new online slots. But what exactly makes it worth leaving your favourite title in favour of some new reels? Think back to the early days of FIFA and compare those games to the latest versions- this gives you an idea of how far graphics and audio technology has come. It’s no different with online slots, which is why you should give them a go. Developers, such as Rabcat whose speciality is video game art, have raised the bar in terms of producing slots with stunning 3D animations, graphics and sound. What’s more, the competitive casino industry means operators are constantly working to provide the most amazing video and audio experience to players. While graphics are important, a game needs more than that to keep players coming back for more. Virtually all online slot games will have their fair share unique features, but today’s technology means developers can get more creative than ever. Games, including Horn of Plenty, allow players to select the direction in which the reels spin, while Castle Builder 2 allows players to increase the payout percentage (or RTP) as they complete missions within the game. 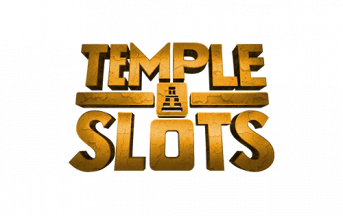 Some new slots will also offer impressive payline features. With Pink Elephants and Raging Rhino, for instance, there are up to 4096 ways to win and BTG MegaWays has an eye-popping 117, 649 paylines. But it’s not just innovative features that make new slots so exciting. New titles offer exciting variations on traditional slots features. The wild symbol is the most common development, which can be expanding, exploding or even cascading reels. You might even see walking wilds in games like Jack and the Beanstalk, so there are plenty of fresh features to get excited about. Progressive jackpots are an exciting new way to earn the big bucks on slots. True progressive slots will have multiple jackpot rounds, from mini to major and mega, and players can work their way up. 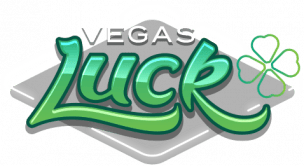 These jackpots can be local— specific to one casino— or pooled, which mean it’s linked to every casino offering that slots title- NetEnt’s Mega Fortune is an example of this. Some titles will use the term ‘progressive’ to indicate that a certain percentage of each wager will contribute to an ever-growing jackpot prize- there are plenty of these slots at 888 casinos. Whichever type of progressive jackpot you’re playing, you have the opportunity to win big! NetEnt, Microgaming and Playtech are the giants of the iGaming casino software industry and there’s no denying that each company has produced some truly fantastic slots. However, there are also some newcomers offering some truly exhilarating slots titles. Rabcat is offering unbeatable graphics, while Genii is introducing new i3D slots that don’t even have reels! Yggdrasil slots, on the other hand, give players the chance to participate in tournaments and competitions for an immersive iGaming experience. This means there’s something to meet everyone’s expectations. Time to play the best new online slots! Now that you’re clued up on the newest online slots, you probably can’t wait to give them a go for yourself. Wondering where you’ll find the top UK casinos with the best selection of new slots games? Take a look at our list to find the perfect casino for you. Compare new titles, bonuses and banking options to sign up and start your slots adventure. How often are new slots released? Many slots are launched every week – often as much as one per day or even more. How far in advance do game developers announce new slot games? It varies – big blockbuster slot titles can be announced up to six months in advance. This is particularly the case with branded franchise slots like Jurassic Park, generating plenty of industry hype. More run of the mill games often launch with less fanfare, though there’s nothing to say these games won’t become surprise hits further down the line. Which software developers release most new games? There really isn’t one answer to this question, as it can vary depending on a variety of factors. One week there might be a flurry of activity from Play’N Go, but other weeks might be dominated by NetEnt, Playtech of WMS. Do the latest games become available at all online casinos at the same time? No, they don’t. To start with, not all casinos partner with every software provider. So, if a casino site doesn’t have NetEnt, it won’t benefit from the latest NetEnt slots. But let’s assume that the software is generally supported. Even in this situation, a new slot won’t appear everywhere at the same time. It all depends on how fast the particular casino makes it available. Which new slots have the highest payout? It’s difficult to say with certainty because figures aren’t readily available for all slots. This is particularly the case with the latest games. Some of those generally considered to have highest payout include Mega Moolah, Thunderstruck and Immortal Romance. Can I deposit with PayPal? It depends on which casino you choose. Generally speaking, most popular PayPal slot sites are a bit older and better established. A select few of the new sites do support PayPal – we’ve highlighted this in our top list and in each slot site’s review. Why are new slot games released more often than other types of game? Put simply, there is more scope to be creative with slots.  The likes of blackjack, roulette, craps and bacarrat are more traditional and have always followed a consistent format. There have been a few innovations in these areas – namely the introduction of live dealers – but when it comes to sheer choice and variation, slots remain king. Can I get a free bonus just for signing up? Some casinos do offer bonuses with no deposit required, and these are usually no deposit free spins. They can’t hurt if you’re looking for a bit of free play with an outside chance of it turning into real money. However you should always be sure to check terms and wagering requirements, as with no deposit bonuses they tend to be fairly strict. Are the newest slots available on mobile? Yes, they are. A fair portion of the industry’s slot repertoire was created before mobile casino gaming rose to prominence. Some of the UK’s old favourites like Starburst have been adapted to mobile. For newer slots titles, mobile support tends to be a given, making the experience fast, simple and intuitive for touch-screen users on phones and tablets. Can I only find the latest slots at brand new casinos? No. 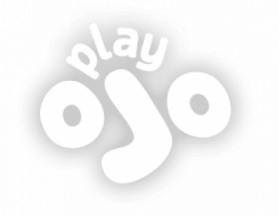 While it’s true that many of the newest casinos do come packed with the latest slot titles, the established casino sites like Casumo, bgo, Mansion and Spin and Win are all very quick off the mark in adding fresh titles to their slot selection.